Despite the recent increase in our subscription rates, several members included donations with their renewals, and some people said they still consider New Irish Lines as very good value for money. I’d like to thank all those who sent a bit extra, and some of you were very generous. As with all donations, these sums will go to the newsletter’s general funds. Several folks also commended the quality of the articles in the issues last year, and how they have used some of the information given for their own modelling project, so I would like to pass on these complements to our authors. Please keep the articles coming. We now have about 150 paid up members, but there is always room for more! Bill Scott has pointed out that the caption on p.31 of the May 2008 issue should of course refer to GNR loco 177. Peter Swift has reminded me, following on from the article on ballast wagons in the November issue, that Hurst, Nelson [sorry, my typo] and Company of Motherwell, the rolling stock manufacturers, had no connection with Neilson Reid, the locomotive builders in Glasgow, which later became part of the North British Locomotive Company. The article by “A Moyner” in the Nov issue is a masterpiece of nostalgia. My family moved to Rathmines in 1930, and Ranelagh became our nearest railway station, mostly used for summer trips to Bray, where the council soon prohibited sea-bathing from the sea front and sent prospective bathers on a long walk to a place called Naylor’s Cove. You will know of course that LUAS is driving towards Bride’s Glen and on to Bray eventually*. It deviated from the old DSER line to its terminus and depot at Sandyford, which turned out to be only yards from Stillorgan station on the old line. Denis Bates’ model of poor old D1 looks splendid, but I must tell him they tried it to Ardglass when new and the gradients were too much for it. I am currently sorting out the woeful performance of the Ardglass DE number 28, which they eventually gave back to Harlands and were given a few quid back. *See Railway Bylines, Annual no 5 for an article by Desmond on this area. Francis Shuttleworth, who kindly allowed me to reproduce some of his photographs of the GNR drovers’ vans in the May 2008 issue, asks me to clear up any potential confusion, from the note at the end of the article in which I attributed the collection to “Tim Shuttleworth.” as This implies, that F.W Shuttleworth collected the photographs, rather than took them, and secondly that “FW” may now have passed on and that someone called Tim (possibly his son) is in charge of the collection! F.W. and Tim, are, of course, one and the same, and very much alive and well! Mitchell and Kenyon, 243 ride from Blarney to Cork on Cork and Muskerry Light Railway (1902): Leemount station (fenced, creepers growing up the trellis, a gaslight). To the right is a single rail track and a hill beyond. The camera is at the rear of the unseen train. The train pulls away from the station and passes heavily wooded scenery. There is snow [sic] on the ground (00.34). A uniformed station worker walking along the track, which is now no longer single. The train passes a truck on the line and two horse-drawn carts on the road at the side of the track (00.50). A wide road with buildings to the right with signs on the walls, which include `Sunlight Soap’ and `Sutton’s Coal’ [adverts]. Train passes a horse-drawn cart, a tram (marked W.S.10), a bridge and the backs of gardens or allotments (1.20mins). 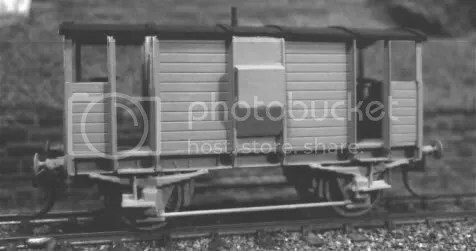 David Chambers ( davidchambers082@eircom.net ) would be interested to hear from anyone with any further information on the four CIE 30’ six-wheel heating /luggage vans no. 3153-6, introduced in 1964. The only references to come to light on these vehicles are in the Doyle and Hirsch booklets on Locomotives & Rolling Stock of CIE and NIR, a photograph in Des Coakham’s coaching stock book and a short note in Modern CIE Coaching Stock (paper by D Kennedy, IRRS Journal no. 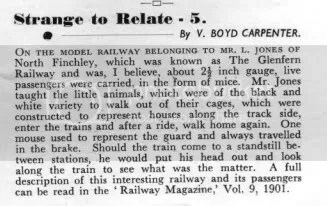 37, p. 159), saying that they were intended for larger winter trains. They were fitted with two Spanner boilers each capable of producing 1,000lb of steam per hour, with 500 gallon water tanks and batteries (which no doubt accounted for their weight of 28tons 5cwts), but which were mounted inside the bodies rather than underneath as on the better known four-wheelers to allow space for the centre axleguards. Each van also had two 160 gallon oil tanks, one under each headstock, Timken roller-bearing axleboxes and a width of 10’ 2”, The body profile, large windows and grab rails seem uniform with the contemporary Craven’s stock, and they had roof hatches at either end. They seem to have been withdrawn sometime between 1982 and 1987. I only came across two specimens, one at Inchicore on a visit in 1982, one on a Sunday morning Dun Laoghaire-Heuston boat train in May 1980, when I think CIE was suffering a rolling stock shortage and such a service had to make do with whatever was available. David Thom from Ontario in Canada has drawn my attention to the website: http://www.geograph.org.uk/ which includes many photos from Ireland including some of current railway locations. JTS (International) Ltd, Candy House, Crystal Drive, Smethwick, West Midlands B66 1QG Tel: 0121 5521661. * Pullman coach (sides, ends, floor, battery boxes, fold down trussing) 62’4″ £30-00. dropping John Wayne off in The Quiet Man). Watch for updates on the new wishlist section on the website and feel free to email or write to: Des Sullivan, Radharc na hInse, Ballybeg, Ennis, Ireland to make your suggestions for a particular loco, coach, detailing kit or transfer pack. 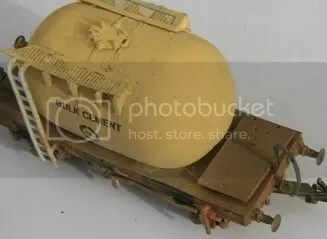 I gather that a company called ‘Transcale Trains’ have advertised IÉ railcar kits in 4mm scale on the internet at: http://transcaletrains.blog.co.uk/ However, it appears that this maybe a scam: I have heard from some of our members that having accepted some payments, the owner of the website has now stopped replying to messages, and it seems that the models were never actually made. Paul Taylor sent this picture of GSWR 12-t goods brake, built to HO scale, from plasticard and various items from the “bits box” It runs on Gibson open-spoke wheels and is standing on SMP EM gauge flexible track, which is quite a good match for 5’ 3” in 3.5mm scale (do the maths!). 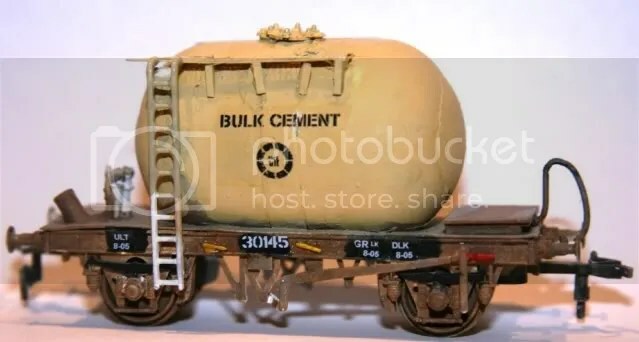 Paul has also built a GSR bogie rail truck from a Rivarosi FS flat wagon and a two-plank ballast wagon using Slater’s 4mm body sections on a Lima HO chassis. Following on from the article on GNR double-decked sheep vans, it seems that in 1942 the company built ramps for loading and unloading these vehicles at Antrim, Armagh, Ballyroney, Banbridge, Crumlin, Castlewellan, Dromore, Markethill, Poyntzpass, Strabane, Derry, Newry and Maysfields. From 'Railways' February 1951 12 (2): 29. I haven't been able to check the original reference. Could it have been some sort of April Fool's? You suggest that Bonds had moved out of London during the war. They were certainly still in Euston Road when I was at University in London in the early 1960s, on the south side of Euston Road near the top of Tottenham Court Road. They may have started the Midhurst premises during the war and then retreated to it again in the 1970’s when London prices drove them out. Re the “oldest model making company” title, I think Bassett Lowke win the British title but there were certainly earlier ones in Germany. As Historical Model Railway Society (HMRS) Archivist, I have access to a wide collection of material including model company catalogues* in the HMRS collection, and also working and public timetables, as well as many other working instructions etc for the railways, which are listed in the open access part of the HMRS website hmrs.org.uk. Unfortunately, there are not many Irish items. Perth Model Railway Club to go Irish: The members of Perth Model Railway Club (Scotland) have decided to commission two new model railway layouts. One of the two new layouts to be built by the members of Club will be an Irish model railway. 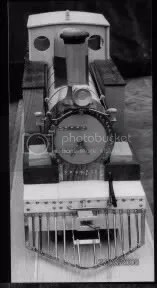 The Club made their decision to have something different after they viewed a range of Irish rolling stock owned by David White who lives in nearby Newburgh, Fife. David owns a variety of Irish rolling stock allowing him to run trains from 1945 through to today. The building of this new layout will commence in July 2008, its first showing is expected to be at the Perth 2009 Exhibition. Would any Irish Club be interested in exhibiting at Perth in 2009? These two pictures from Tony Hewitt (hewittht@tiscali.co.uk) show a model of Schull & Skibereen Railway no. 4 which he has built from various woods, ranging from 1mm plywood upwards. The wheels are made from ash, two varieties of mahogany and cocktail sticks Smaller components are turned on a lathe, and there are some brass parts for the cow-catcher and smoke-box fittings. The builder tells me he became a grandfather while building the model, and the latest addition to his family also rejoices in the name Erin! Following Doncha Cronin’s picture of an Italian version of the CIE G-class (May issue, p.26 ), it seems that there may have been an Iberian branch of the family as well. I took the above photo at the railway museum at Gijon, in Northern Spain earlier this year: the museum has a fascinating collection of broad and narrow gauge and industrial equipment and is well worth a visit. This machine is Deutz no. 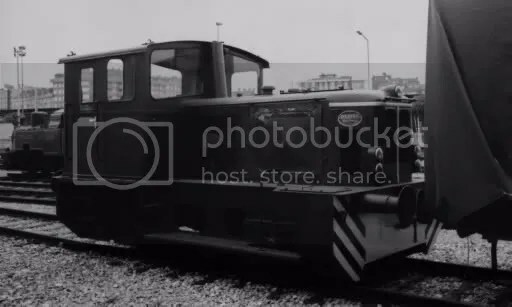 57706, built 1964, type B, DH, 140HP 20tons weight, eight cylinders, and it shunted private sidings in the nearby Trubia armaments factories. 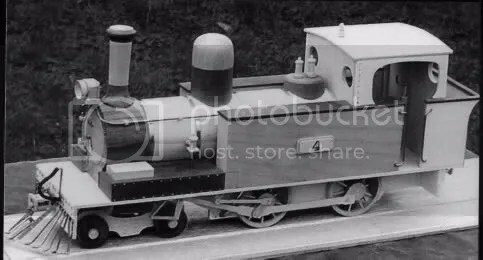 It runs on the Spanish broad gauge of 5’ 6” (1670mm). Following Doncha Cronin’s picture of an Italian version of the CIE G-class (May issue, p.26 ), it seems that there may have been an Iberian branch of the family as well. I took the above photo at the railway museum at Gijon, in Northern Spain earlier this year: the museum has a fascinating collection of broad and narrow gauge and industrial equipment and is well worth a visit. This machine is Deutz no. 57706, built 1964, type B, DH, 140HP 20tons weight, eight cylinders, and it shunted private sidings in the nearby Trubia armaments factories. It runs on the Spanish broad gauge of 5’ 6” (1670mm). Foxrock Models first two kits for the Cork, Blackrock & Passage Railway brake van and open goods wagon are both now available (see may issue, p. 29). Both kits are also suitable for use in CIE days on the CLR section. The resin bodies and etched underframes are very well produced, and there is an excellent detailed instruction sheet including prototype information, and these should prove ideal modelling projects for the lengthening winter evenings for Irish narrow gauge modellers. The brake van kit costs £17 and the open wagon £15, both inclusive of postage there is a 10% discount on multiples of five kits. Orders should be sent to Simon de Souza at: Foxrock Models, 7 Ennerdale Road, Reading, Berkshire, RG2 7HH (e-mail: simon.desouza@btinternet.com), cheques payable to “Simon de Souza.” Simon has plans for future kits for the Cavan and Leitrim open wagon and milk-van/brake van, but clearly investing the time in producing these will depend on sales for the first two kits showing that this is a viable market. Alistair Rolfe of No Nonsense Kits has re-introduced the cast ends for the GNR(I) AEC railcars (at £7-50 per pair) and cosmetic bogie sides (at £4-00 for four bogie sides i.e. enough for one vehicle, but will need an etched frame to produce a running bogie) from the old MTK moulds. 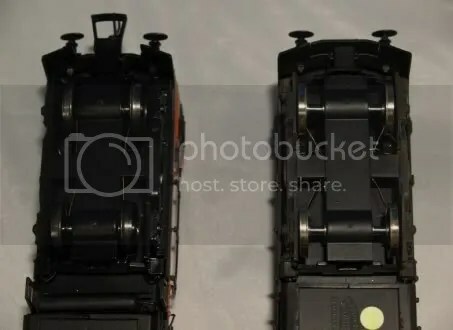 The ends seem closer to the later CIE push-pull versions of these vehicles, but can be cleaned up to the original GNR form. It appears that these components complement the Worsley etches for these vehicles, and the cast ends may be easier to use than shaping the ends from the etched parts, although the inner end was (we think!) flat and may be easier to make from brass than to clean up the MTK casting, which was copied from the GW Collett suburban Bow-end (without steps). However, Alistair can supply these at £5 per pair if bought with the cab fronts. Most of the MTK Irish locos are currently being re-tooled, as a mixture of etchings and castings. 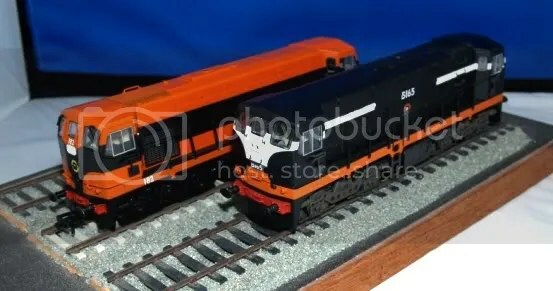 They should be re-released over the next few years and NNK is developing a six-wheel mechanism which will provide the correct wheelbase for the larger locos. For four-wheel bogies they suggest Black Beetles. All kits will be suitable for 21mmgauge. The MTK Irish coach kits were usually aluminium body shells with cast ends, though the Park Royals, and Mk.II air-conditioned stock were etched. The Dart was also etched, with cast ends, though much of the tooling is a bit too rough to re-use. Unfortunately it is not practical (or viable) to produce short runs of aluminium-bodied kits, while the tooling for the etched body shells is very scruffy. It is not expensive to replace the artwork for the etchings, but if re-drawing it would make sense to get everything right. So, at present Alistair trying to gather information on the rolling stock, with a view to releasing complete kits, but there are some technical limitations to what can be done for the moment. He hopes to expand his machine-tool range to produce pre-formed body shells to the correct dimension, but this depends on a number of things, including finance and any specific demands from modellers may push specific items up the priority “to do” list! Worsley’s latest etchings are for the Schull & Skibereen Railway: http://www.worsleyworks.com. Etched sides for the GSR Pullman cars are expected shortly. GNR (I) Drovers’ vans: I’ve actually made a model of No.3, using the photo of 1957, and the line drawings, which I got from Tony Miles. Interesting that the doors say “drovers” although there are no side windows, nor the pot lamps on the roof. Does the inscription mean that they were still being used for drovers at that date? 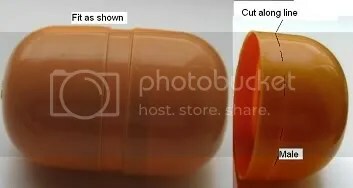 The differences between the two are interesting also. No.3 has wooden frames, and the outside vertical pillars extend down over the solebars. Nos.97 and 98 have steel frames, and the bodies are wider. Tare weight is greater at 15T. UTA rail tractor: I have vague memories of one of these. I think it was actually built on a coach bogie, and didn’t have a “cab”. I think it was also used for a “goods train” – pulling a single wagon of coal from Queen’s Quay to Hollywood for a coal merchant based in the goods yard. I was in Sullivan Upper School there at the time. Contact me on dezsullivan@eircom.net or write to me at: 5 Radharc na hInse, Ballybeg, Ennis, Co. Clare. I have liked the look of this loco ever since I took a greater interest in Irish railways. I know of no kits but Alan kindly sent me some 4mm and 7mm drawings. At the time I was modelled in 4mm. I built a chassis for a B4 in 4mm but before I got any further I was at a small local show that was run by Gauge 0 Guild members. Although many scales were there, I was taken with gauge 0, which suited my eyes and ten thumbs better. So I changed scales. I made a loco from an etched kit and bought a brass pannier, yes I know not Irish but GWR is next best! I also decided to go with the flow and stick to 32mm gauge using C&L products. I decided to scratch build a B4. I made many mistakes as I went along for I am not good at working out all the pitfalls first. The chassis I built first and I will at some time make another. I tried full spring suspension but found making sure all was level difficult. I had made the frames from too thick nickel silver and found the gearbox too wide. I fixed the axle bushes and after some filing it fitted. But I forgot to reassemble on the jig so the running was poor. I think I stripped and reassembled four times, but it does run. The other main problem was with the bogie. Getting the right tension was difficult and I wonder if I should have used a swivel on a pivot set back. The footplate and body were easier. The tank sides and cab were cut and soldered together to make sure they were symmetrical. 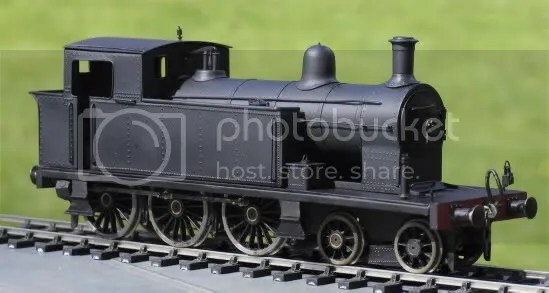 There are flanges on the bottoms with captive screws so that the cab and tanks plus the boiler can be dismantled from the footplate separately although I now think this is not necessary. I invested in a riveter and roller. Rolling the boiler was not too difficult, the riveting monotonous and not easy to maintain a line if a reversal in the riveter had to be done. 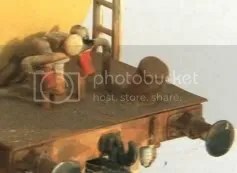 I do not have a lathe so I spoke to Laurie Griffin (Miniatures ). I sent the drawings to him and he did a good match with the boiler fittings. The chimney is not quite right but as all are screwed on I could change it if I find a better match. The boiler door also came from him and the darts. Other proprietary fittings such as the buffers, jack, and couplings were picked up at trade shows. The sand boxes I made and are also screwed on. 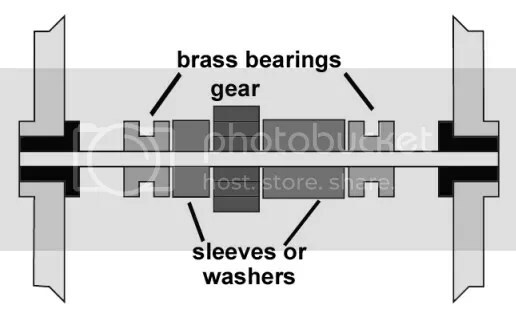 The coupling rods I think were universal ones from Slaters laminated at the right length. My painting expertise is not brilliant but it will pass my inspection and as it is intended for my attic this is okay. The detail is not totally accurate because I noticed things after I had soldered up (e.g. the buffer mountings should be round and the bunker is not quite right) but overall I am pleased. This has taken me several years to complete and I have enjoyed doing it. My better half said it was wonderful (honest!) but then it keeps me out of her way for many an hour. 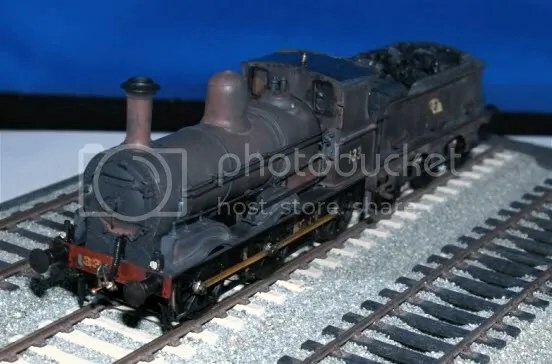 I bought a MGWR J26 kit on e-bay which will be my next engine. I do like the lines of the Neilson and Dubs engines supplied to the CB&SCR but I have no drawings. Anybody out there have any?